Are you a member of the Preppy Mafia? Do you want to be a socialite? I'm thrilled to announce the first giveaway from the Preppy Mafia. One lucky winner will receive a "Socialite Starter Kit" that includes so many goodies. 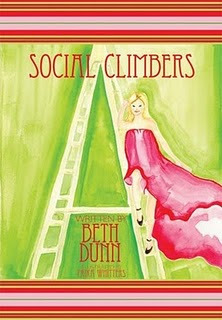 You can enter the giveaway on Beth Dunn's Social Climbers site. I was recently honored to be named Social Director of the Preppy Mafia. We're going to take over the world, one monogram at a time! You can join the Preppy Mafia on Facebook, too. We want to have fun as we welcome all people who love things Preppy, Pink and Green. I feel like I should be organizing a mixer or something. As Elle Woods says in Legally Blonde, "This is going to be just like senior year, except funner." Remember to enter the giveaway here. I am excited for the Preppy Mafia too! 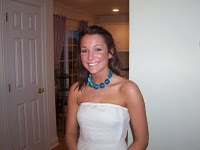 Congrats on being the Social Director!